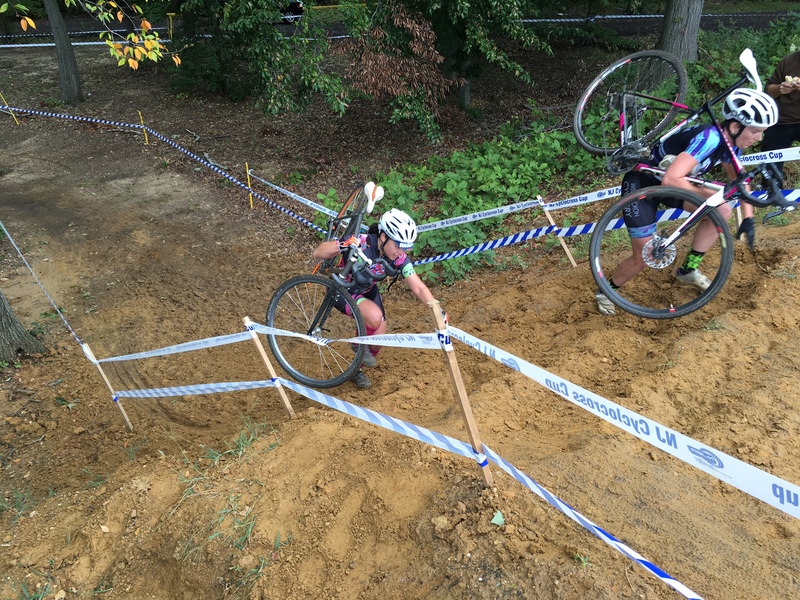 Awhile ago I (Krista) watched the women’s field at a local cyclocross race, straddling a friend’s cyclocross bike so I could bike from spot to spot along the winding course. At one straight away, in which the women zipped by with speed, an older man who was spectating beside me turned to me, gave me a quick once over and asked, “Hey, how come you’re not in this race?” His big smile pressed down the corners of his eyes with grandfatherly glee and I responded, “Oh, I don’t want to race,” a half-truth that I let hesitantly slip out. I cringed for the ensuing, well-worn conversation that I knew was about to take place. “C’mon! You scared? You can do it, it’s easy!” he said and chuckled. I let out a little laugh. “I’ve raced before, I know what it’s like,” I said, a smile gripping my face. “Well, what’s your excuse then! ?” he said, shrugging his shoulders. “I just don’t want to,” I said, and turned and rode my bike away from him before he could pry further, into the far reaches of the course, under the shadowy trees where no one often stops to watch. This man did not know that I am sick. His questions, although belittling, were good natured. But as someone who is invisibly sick, I often feel pressure around the clear boundaries I have in my head of what my disease really means, and how to convey that to others so that I am not dismissed and written-off as just another Cat 4 cyclist with a list of reasons as to why things aren’t going my way. 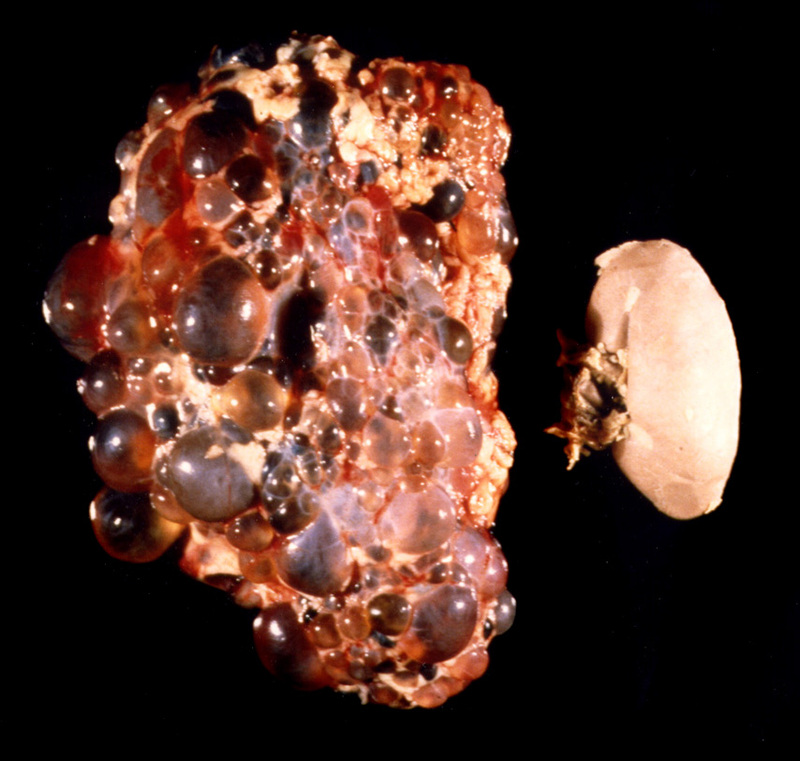 I have a genetic kidney disease, a disease so unknown that it gives me no satisfaction to name the actual disease (polycystic kidney disease) in conversation. There is no collective response that is often elicited as there is with cancer, MS, or cystic fibrosis, although it is no less serious. Instead, it is placed in a gray area of concern and often forgotten because, like a new language, our minds don’t have a place to put it. It is incurable, untreatable, and progressively degenerative, and being diagnosed at the age of 23 made me go crazy for a good year or two. I polarized from denial, to hyper-health nut. From staying out until the sun came up while doing all sorts of illicit things, to going completely vegan, caffeine free, and exercising regularly, and I have since balanced out. 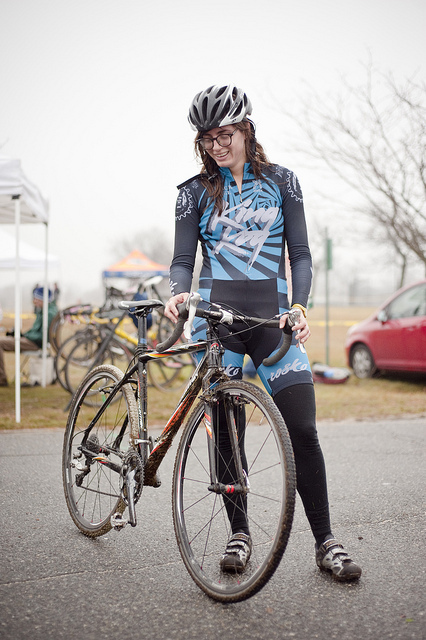 In 2012 I had almost a full season of cyclocross. 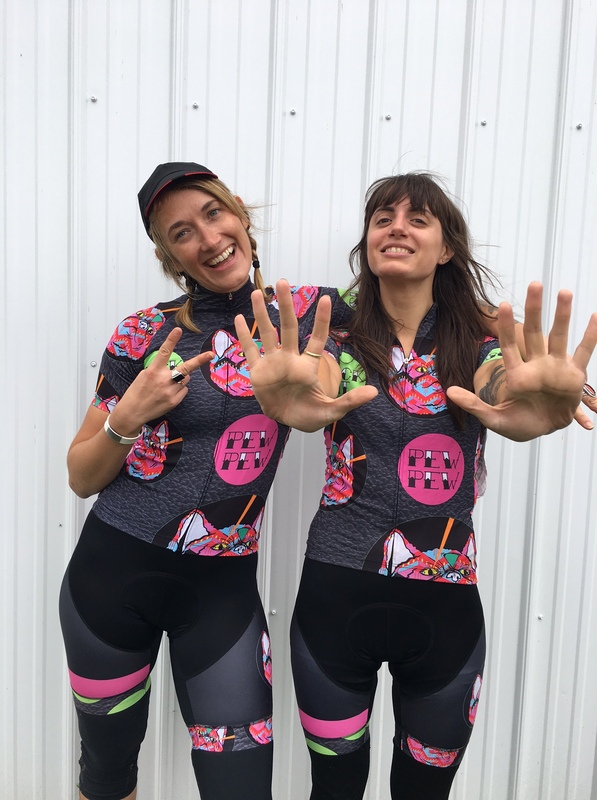 It felt like a natural progression with my love of bicycles–from working in a community bicycle collective as a teen, to becoming a bike messenger throughout my 20s, to a short frame building apprenticeship, and now racing. I dove head first into it, as I do with most things, by buying the cheapest bike I could find and then doing my first race several days later. I was terrible, even after putting some pretty good base miles in during the summer. And I continued to be terrible as I struggled to train throughout the week and race on the weekends, often getting sick and feeling like I could barely leave my bed. I resigned to thinking that cyclocross just wasn’t for me, and saddened that the most accessible and fun form of racing was something that felt more trouble than it was worth. A month after my last race, I started my first clinical trial for a drug treatment for my disease. I was given an unapproved drug, the class of which is generally used for patients with certain kinds of cancer (a tyrosine-kinase inhibitor). I took a pill daily and was at the hospital at least once a week to monitor the effects of the drug. Immersing myself in the clinical reality of my disease was more emotionally difficult than I imagined, but it gave me a new understanding of my disease. I spend a lot of time minimizing it, because I want to believe I’m okay, and others who don’t understand the disease tell me I’m okay, but I’m not and being face to face with quantifiable numbers was sobering and enlightening. The medicine made me nauseous, I lost 10 pounds, my hair began to fall out, my nails began to break, I developed a rash from my neck to my navel, and I felt the most tired I had ever felt. I took it for almost a year and stopped after the toll it took felt too great. “Are you going to race road this season?” my teammates asked after the cyclocross season was done and I responded with a flat, “no.” And like that old man chiding me at the local cyclocross race, they pressed on and I affirmed, “No, I’m on some crazy medicine now and I can’t.” This time, I felt angry. I felt like I was shouting my concerns into a windstorm and I could see them picked up and sent away, on deaf ears. It was the result of months of physical letdowns, years of scary personal health realizations, and feeling like I had no control over my body, that my body was my enemy. Their comments were good-natured, but I began to interpret encouragement as an attack, as an invitation to a conversation I didn’t want to have even with myself, and put up a wall between my current, sickly self, and the memory I had of my former, healthier self. I swore off racing forever. There are countless reasons why I stopped racing. I’m anemic, as the kidneys are responsible for creating erythropoietin (otherwise known to cyclists as the doping drug EPO). My kidneys are more than twice the size they should be, as they are filled with hundreds of cysts, and they push up against my diaphragm, making it difficult to carry out laborious breathing. I have pericardial effusion, or fluid build-up around my heart, a side effect of the disease that makes it more difficult for my heart to pump. I have abnormal vascular exercise responses, causing a decrease of oxygen delivery to my muscles in times of exertion. I need to eat a low protein diet, so post workout protein meals are out of the question. I need to minimize impact or strain, as this can cause the cysts to rupture, which has happened a few times and causes further damage to the kidneys. Overall, my kidneys aren’t filtering out wastes as they normally should, and I often feel tired, achy, and sluggish even when I take the best care of myself. But, as is my nature, I like to thrive as much as possible. There are countless reasons why I will always push myself as much as I do, even after dark bouts of depression with my disease. My father, who I inherited the disease from, lived the last 25 years of his life in chronic pain and disability. I grew up taking care of him, from helping him on the dialysis machine when I was a child, to post transplant care, to helping him as his physical ability changed and he lost the use of his legs, his arms, and eventually his hands, and in the last days before he passed away from the disease. For all of the pain that this disease has created for my family, the juxtaposition of my father’s life with the disease and my own has given me gratitude for the capabilities I currently have. It has overridden the fear that causes inaction–the fear of not being good enough, the fear of making a fool of oneself, the fear of trying for the sake of not living up to the idea of ourselves we have in our heads. I see people put off goals for a while or indefinitely because of these fears. But I don’t get to linger in those moments, I don’t get to entrust that my body will remain relatively intact after a few years and that I can try some other time, so I’ve done a lot of things that felt scary at the time until I realized how living with this disease every day is the hardest thing I’ll have to do, and everything else feels easier in comparison. A few months ago I joined Team Laser Cats and was most happy with the company of new friends and the “racing optional, snacks mandatory” team attitude. It was a great, no-pressure place to test out cycling again, to shake off the cobwebs from the previous years. I attended the first few weekends of cyclocross this season, all while repeating my mantra of “No Racing.” I lamented my inability to consistently train, to make fitness gains, to imagine myself ever on a podium and then, one day, a new kind of thinking crept in. I might never get on a podium, but so what? I can only ride my bike once or twice a week, but isn’t that something? And if I race and get last, that means my fitness may never be great again, but at least I can still move my body in a way to get from the start to the finish line. I pulled up to Caffeinated Cross this past weekend with my teammate Taryn, also a Cat 4 racer and about to do her second cyclocross race ever, with all the tools necessary to do the race. I scoped out the course before deciding to register, because I still can’t do certain courses with tricky descents where I might fall, but this course was fast and flowy, with one short run up and not much elevation. With the balmy 55 degree weather, I had no excuse not to race at this point. While riding over to registration, I felt my confidence falter and all my old worries start to come back. I loitered around the registration table for a few minutes, and suddenly without realizing it, I marched up to the table and said, probably a bit too loudly, “Hi I want to register for the Cat 4 race!” I pinned up and watched the end of the race right before mine and a single, lone rider pedaled along at his own pace, very solidly in last place, but focused nonetheless. I thought, that could be me, and that’s okay! At the start of my race, I couldn’t shake my rookie past and was caught in mid conversation with the woman next to me as the whistle blew. I didn’t sprint with all my might, as I told myself I was just along for the ride. The short prologue let out into a few turns, and I quickly realized that all the mountain biking I’d done the past year had improved my handling skills so that I wiggled my way around a few women who slowed through each corner, and sprinted my way up through a gap to the lead group of women of about 14. I sat back and cased each new rider in front of me. Can I pass her? Do I want to? Will I have to stick to a new level of effort if I do? And then I looked around and thought, “This is fun. I can’t believe I’m doing this.” I laughed and then smiled because I realized I was doing something I’d never done before—having fun during a cross race. I passed a few women during the race and stayed out of the red. I ended up 10th out of 21 riders and I almost couldn’t believe it, first scanning for my name at the bottom of the result’s page and thinking I was missed entirely when it wasn’t there. Taryn got second, and we celebrated at the podium. Taryn and I celebrating 2nd and 10th! In the course of the day I went from fully doubting my ability and desire to race to throwing all pretense to the wind and just doing it because I could, because it is such a privilege to still be able to try. I make peace with myself every few months after internally struggling and mourning for the person I knew myself to be just months prior and I made peace with myself during that race. It felt like I hit reset again. I’m looking forward to trying out another race this season–body and mind willing.